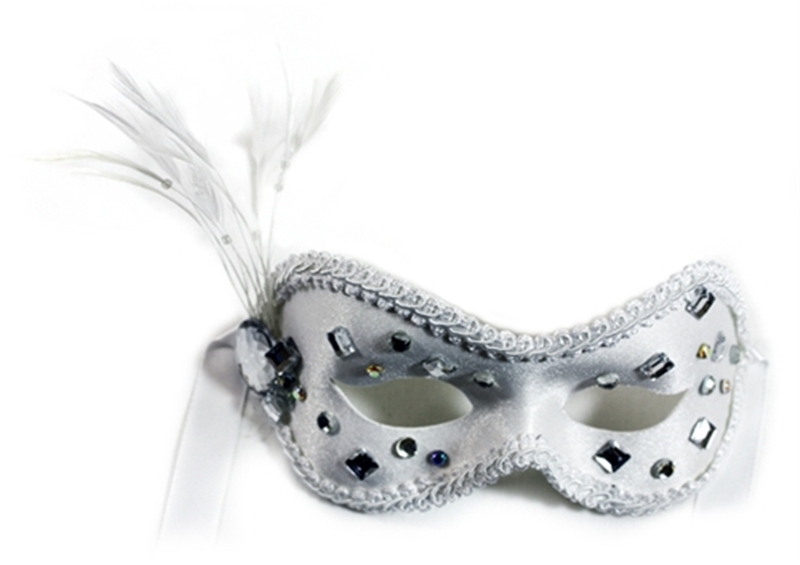 This fashionable Starina Masquerade Mask is sprinkled with crystals and on the side is a rhinestone brooch. It is edged in a plain braid decoration and secures to the face with ribbon ties. 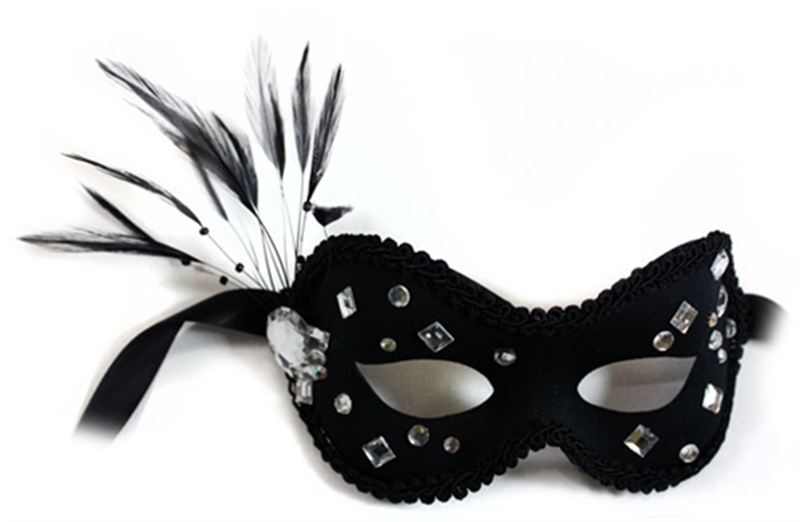 Perfect for masquerade balls! Each mask is hand-decorated.